FRAMINGHAM – The National Weather Service Boston/Norton has issued a winter storm warning for today from 1 to 7 p.m. The government agency is forecasting 4 to 8 inches of snow for MetroWest, including Framingham, Ashland, and Natick. Unfortunately, the snow will transition to sleet before changing over to freezing rain and ice. The storm is expected to start around noon to 2 pm today, ending early morning Wednesday. Greatest concern are the expected impacts for the afternoon into evening commute. Moderate to heavy snow occurring at the height of rush hour, accumulating easily even on treated roads. Expect slowed commutes, long drives home, especially with snow covered roadways and any accidents. Reduced visibility with any snow or sleet, especially as snowfall rates of around an inch an hour are forecast shortly after the onset. With the pending storm, Framingham Superintendent of Schools Bob Tremblay called an early release from schools yesterday, Feb. 11. Keefe Technical, just after 8 a.m.today,announced it would dismiss its students early at noon. City of Framingham announced after 12 p.m. that City Hall, the libraries, and Loring Arena would all close at 1 p.m. today, Feb. 12. “Public Works salt-spreading equipment will begin pre-treating roadways today early in the afternoon. This will ensure that material is applied to the roadways before snow and ice can bond to the pavement surface. One of the most challenging factors in this storm will be timing. Rush hour traffic often prevents de-icing equipment and plow trucks from effectively treating roadways or removing snow due to traffic impacts,” wrote the City on social media. “If traffic can’t move, our equipment can’t either. Public Works operations must adapt to existing traffic volume and therefore, it is critical that vehicular traffic stays off the road as much as possible. We ask for your help in making the roads safe for those who absolutely need to be on them,” posted the City. “The Department intends to utilize all available City and contracted resources to plow streets as quickly as possible before freezing rain creates hard ice-pack on roadway surfaces,” posted the City. “Sidewalk equipment will be deployed as soon as reasonably practical to plow the over 90 miles of sidewalks,” said the City. If possible, please do not put out your trash and recycling carts until 7 a.m. Wednesday morning as this has a tendency to interfere with plowing sidewalks, said the City. SOURCE will update this report throughout the storm, with cancellations and postponements. Saint Bridget School announced its workshop with Michael Delman tonight has been rescheduled to March 5. Dual enrollment classes at MassBay Community College have been cancelled for Tuesday. Tonight’s Framingham Zoning Board of Appeals meeting has been rescheduled to later this month. The United Way of Tri-County has closed its offices for the day. 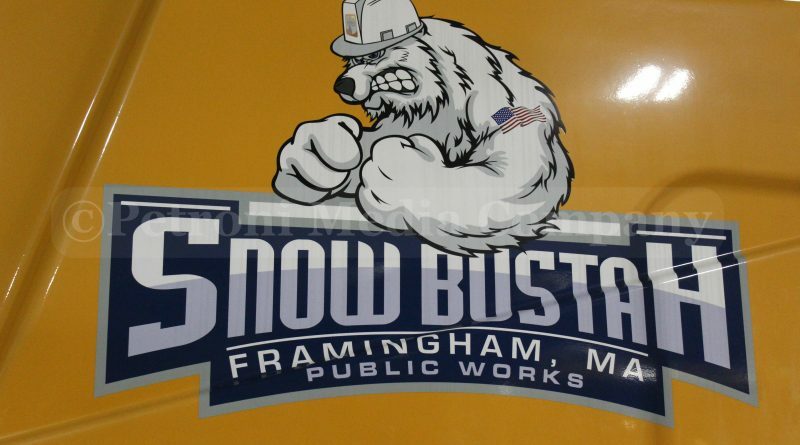 Access Framingham announced it has closed for the day as of 3 p.m.